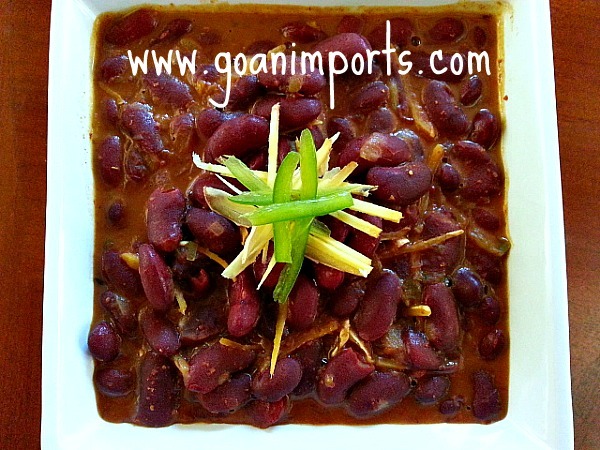 This Goan inspired Red Kidney Bean Curry recipe is also called as Rajma in Hindi and is a popular Indian Dish in Punjab, just like the rice and fish curry in Goa. It’s also a staple at most Indian restaurants in the US. 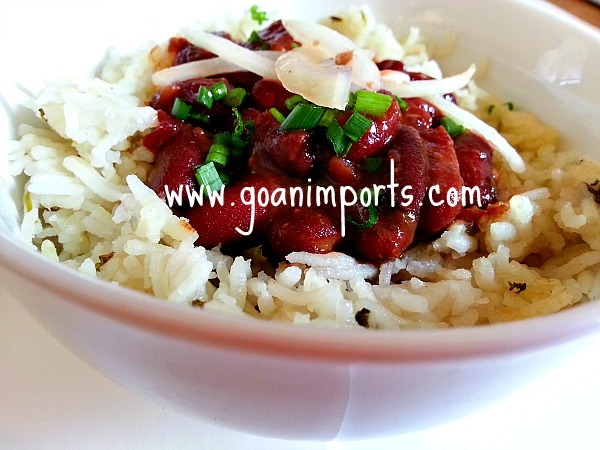 The only way we ate Red Kidney beans was a Portuguese dish called Feijoada which is another very popular goan food recipe made with pork also very well-known in Brazil. Thanks to my friend Aman, who makes it often and where I have eaten many a time at her place, she used the xacuti spice to make it for one of our potlucks and it tasted great. So this recipe does not compromise the original flavor of this popular Indian food. You can also make it with White Kidney Beans. This is a great recipe for those who are looking for newer ways to eat Kidney beans then the regular norm of salads, chili and soups. 2 cups of the kidney beans liquid. * Heat oil and add the Cumin seeds let it get a bit roasted for about 10-15 seconds. Add the chopped onions and jalapeno and saute till translucent. Add the chopped tomatoes and saute again for 3-5 minutes till it soften. *Add in the xacuti spice and ginger. Saute for 1-2 minutes. *Next add the kidney beans and its liquid, salt to taste and cook covered for 20 minutes on medium heat . check occasionally and stir so that it does not stick to the bottom. 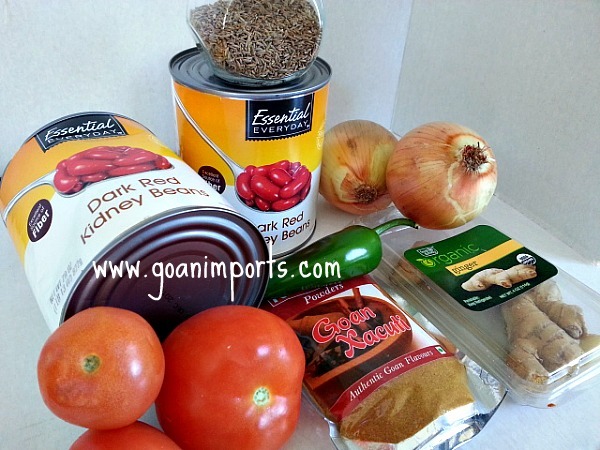 Enjoy Red Kidney Beans curry / rajma chawal with rice and fresh pico de gallo salsa on the side. The dishes are so well lit, and look scrumptious. I just had a red kidney bean dish yesterday at a favorite Indian Buffet. It’s one of my favorites. My oh my! This recipe looks delicious! Thanks hiraeth91. I am happy you like it .